Your treatment costs can vary, depending on your treatment plan and specific needs. Before beginning any treatment, we will review all costs and available payment options with you. 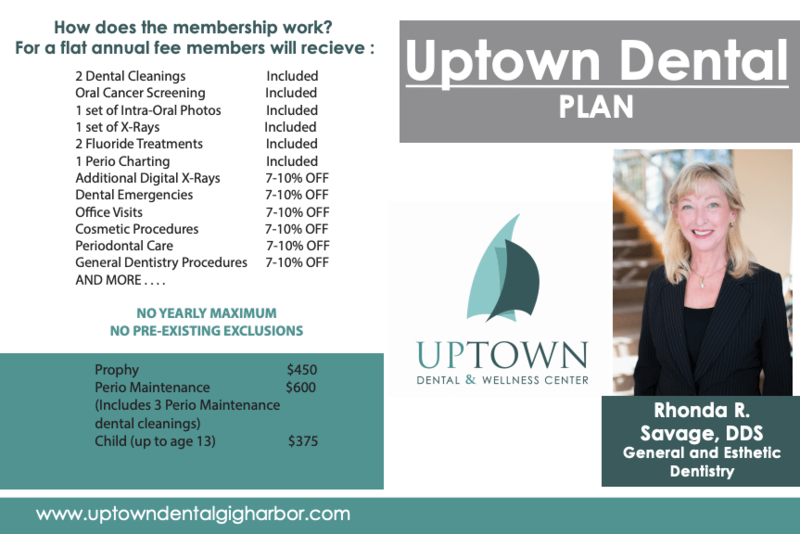 At Uptown Dental Gig Harbor, we offer comprehensive dental care in a customized and efficient manner. We want to make things easy for you and ensure your dental experience goes as smoothly as possible. Our dental practice will assist with any insurances claims and paperwork, and even collaborate with your insurance provider so you get the appropriate coverage. 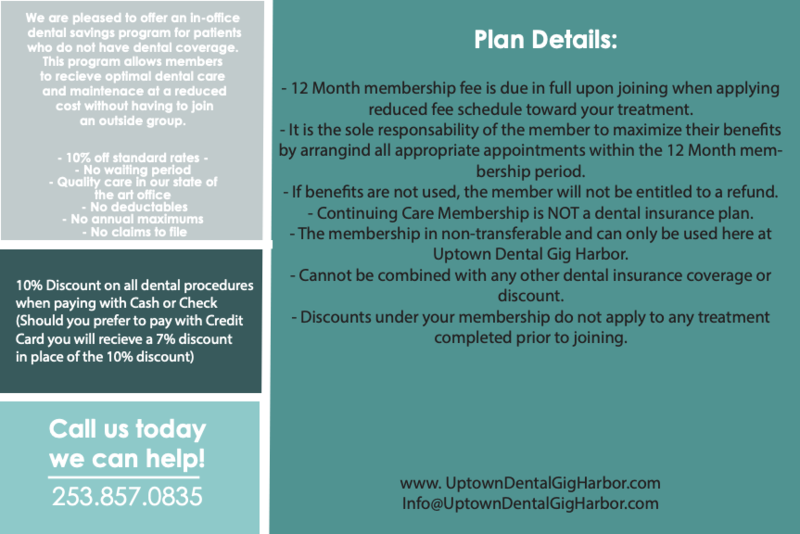 If you have any questions about your insurance coverage, contact Uptown Dental Gig Harbor today.